Two people whose work inspires me a great deal will be in Ottawa together on Thursday, November 28, 2013. Diana Beresford-Kroeger and J.B. MacKinnon will be at the Ottawa International Writers Festival for a discussion of Our Place in the Natural World. J.B. MacKinnon is a writer, editor and journalist who writes thoughtful, engaging pieces about ecology and nature. He’s author of the widely-read The 100-Mile Diet, co-written with Alisa Smith. His most recent book, The Once and Future World, explores the notion of “wilderness” and highlights the human-influenced transformations that spaces we consider “wild” have actually gone through. 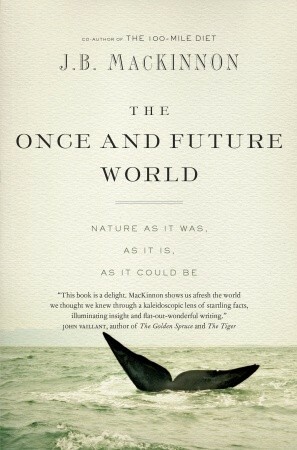 The book is also hopeful, calling on us “to remember nature as it was, reconnect to it as something meaningful in our lives, and begin to remake a wilder world” (quote from J.B. MacKinnon’s website). 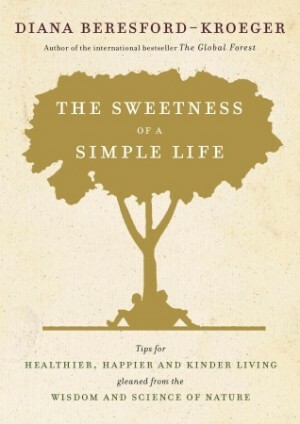 Diana Beresford-Kroeger’s new book, The Sweetness of a Simple Life, contains advice for living more sustainably and reconnecting with each other, starting with basic things that anyone can do. Subtitled Tips for Healthier, Happier and Kinder Living Gleaned from the Wisdom and Science of Nature, the book offers insights based on western and traditional science and knowledge, applied to everyday life. Diana Beresford-Kroeger and J.B. MacKinnon will be at Southminster United Church (15 Aylmer Avenue, at Bank Street), Thursday, Nov. 28 at 7 p.m. See the Ottawa International Writers Festival website for ticket information.